Elon Musk is calling for a new “space race” after successfully launching a sports car into orbit — but billionaires with money to burn on rockets have some calling for caution before a wild rush to the stars. “As exciting and promising and attractive as commercial space may be, we must take caution not to get ahead of ourselves,” said Dan Elwell, acting administrator of the Federal Aviation Administration. Elwell told attendees of the FAA’s Commercial Space Conference yesterday that the agency needs to streamline its regulatory processes in order to clear the way for more launches during the current “hot streak,” but stressed safety also needs to be a priority. Musk’s company SpaceX launched its Falcon Heavy rocket — carrying one of Musk’s Tesla Roadsters — Tuesday and successfully returned two of the rocket’s three boosters. 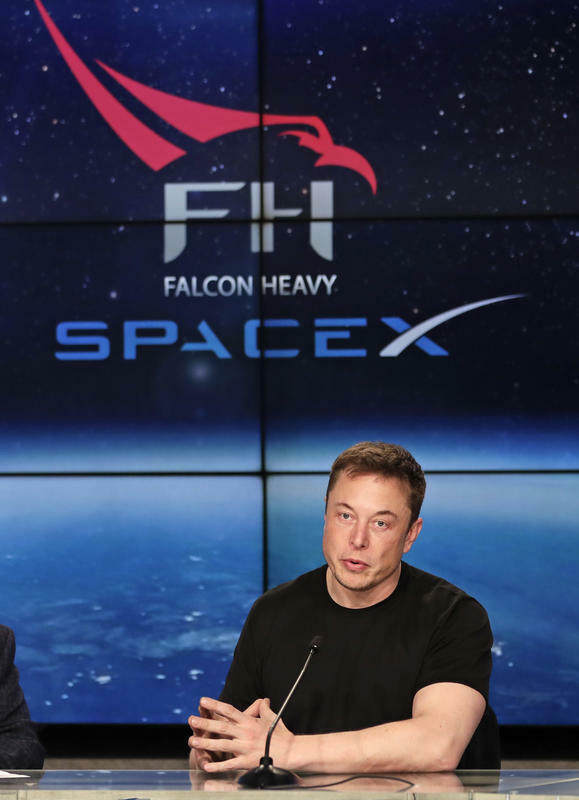 The rocket is capable of carrying nearly 20 tons and costs a relatively inexpensive $90 million to launch, which Musk hoped would spur more development. “We want a new space race,” said Musk, whose goal is to offer commercial passenger flights to colonies on Mars. Questions of how companies will operate in space will also need to be dealt with, according to Henry Hertzfeld, research professor of space policy at George Washington University. Space travel expert George Sowers said interest from billionaires has given spaceflight projects a real shot in the arm. “There’s a lot of things moving forward ... I have 30 years of experience in the business, billionaires have changed the game,” said Sowers, the former chief scientist for United Launch Alliance, a Boeing and Lockheed Martin joint venture and SpaceX competitor. But as companies push ahead, they’ll have to contend with new regulations and unintended consequences. Any space launch must be licensed by the FAA, which focuses on making sure equipment won’t fall in the wrong place and that the rocket’s trajectory won’t interfere with other objects, Sowers said. But it doesn’t regulate commercial astronaut and space passenger safety the same way it does commercial airline passenger safety, with anyone making the flight understanding they’re doing so at their own risk.